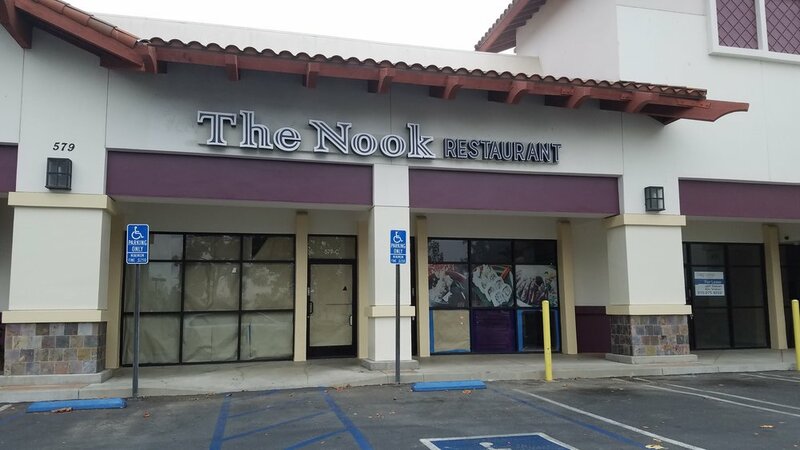 Tipped off by Darts Promoter L. David Irete, I drove by the former Sooki’s Japanese Grill in the Ralphs strip mall at 579 N. Ventu Road in Newbury Park to find “The Nook Restaurant” sign up. Though there was no sign of a local The Nook Restaurant in the Conejo Valley, a quick call to The Nook Restaurant on Ventura Boulevard in Encino turned up the fact that this indeed is a new, second location of this eatery. No other info at this point but I’m sure we’ll hear more soon!